Since its inception in 2001, Bitdefender has continued to raise the bar to set new standards in proactive threat prevention and virus removal, in many cases leading the way in the best Internet security detection techniques to prevent the spread of malicious threats. Thanks to its first-class products and state of the art technologies, the company rapidly expanded into a worldwide leader. Bitdefender made its entrance on the international market when opening offices in the UK, USA, Germany, France and Spain, as well as establishing strategic partnerships and a local presence in over 100 countries globally. By the end of 2009, Bitdefender was protecting millions of users globally and had established trusted use of our technology with household names like IBM and Virgin Media through strategic partnerships. 2011 brought a pivotal change in Bitdefender’s company philosophy, as the organization embraced a new corporate identity. It was also a year of success, as the company’s consumer products were the first in years to be voted the #1 choice (in terms of internet security) by three of the most important independent testing organizations in the world. The new image acts as a binder between the company’s roots and its future. 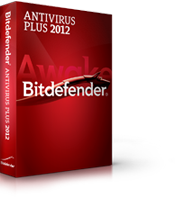 One thing has remained unchanged: Bitdefender’s capacity of delivering top antivirus products. Bitdefender provides the best antivirus solutions using the same award-winning technology for consumers and for corporate networks, from the small business right through to the global enterprise, protecting all endpoints. 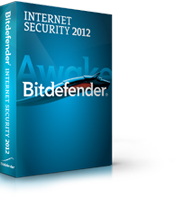 The Bitdefender proprietary technologies, based on innovative ideas and leading trends in the information security industry, continue to be internationally recognized as the best Internet security software. The independent organizations which reward our outstanding results through numerous prizes and certifications are: Av-Test.org, Virus Bulletin, ICSA Lab, Checkmark, PC World Top 100, just to name but a few. Bitdefender strives to constantly develop technology to stay one step ahead in offering our customers the best antivirus detection, combined with flexible usability and performance. 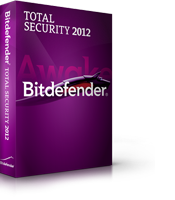 Bitdefender's Total Security 2012 offers a friendly interface, comprehensive protection, and social networking scanning, making it our top pick among security suites. Free and effective malware cleanup directly from your browser.